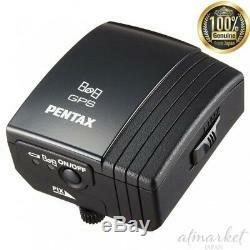 PENTAX GPS unit O-GPS1 39012 For Camera genuine from JAPAN NEW. Our products are 100% authentic. Convenient "Astro Racer" for astronomical observation When attached to PENTAX K - 5, PENTAX Kr, it is possible to perform simple astronomical tracking shooting in conjunction with the SR (Shake Reduction) built in the camera body " Astro tracer "is carried. Calculate the movement of the celestial body at the latitude acquired from the GPS information and synchronize the image sensor with the movement of the celestial body according to the state of the camera (left and right and upward and downward inclination and direction) obtained from the built-in magnetic sensor and acceleration sensor By moving it, you can shoot with the point image as it is without flowing stars even if it is exposed for a long time. It is a convenient function that you can enjoy simple astronomical tracking shooting with only a tripod without using a dedicated equatorial rite. Linear navigation that shows information up to the destination Linear navigation is possible by calculating the bearing and distance from the current location to the destination you set. The information on the destination can be read from the digital image in which the position information is recorded, and can also be registered and set by loading the data created on the personal computer. "Electronic compass" capable of displaying and recording shooting direction The "electronic compass" function is provided which can display the direction at the time of shooting accurately on the camera's LCD monitor. It is possible to display the direction of the geomagnetism detected by the built-in magnetic sensor and the azimuth based on the true North by using the GPS position information, and it is possible to record direction information in the captured image. Compatible models: PENTAX 645D, K-5, Kr. Five Promises of Our Shop. International Buyers - Please Note. We will find any item for you. 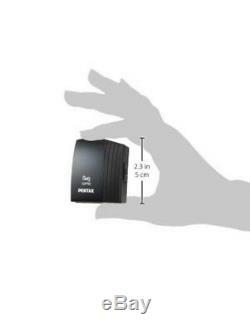 The item "PENTAX GPS unit O-GPS1 39012 For Camera genuine from JAPAN NEW" is in sale since Sunday, January 13, 2019. 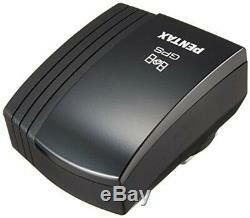 This item is in the category "Cameras & Photo\Lenses & Filters\Lens Adapters, Mounts & Tubes".